Can Smaller Medical Aids Attract new Members? Can small medical aids attract new members? It’s not surprising that most South Africans put good medical care as the top of their must-haves for good living. They’re willing to go without car and home insurance, but not health insurance. That’s because they know that good health is a priceless gift. They know that there are advantages to belonging to a medical scheme. Certainly, having the financial protection from massive, unexpected medical costs is the number one advantage. Being able to have access to private medical care is the next best advantage. 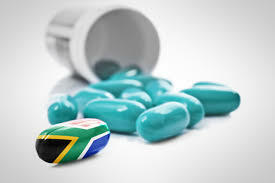 South Africa has many open- and restricted medical schemes, some of them are huge and others much smaller. Discovery, Fedhealth, Bonitas and GEMS are some of the largest while Genesis, Resolution and Keyhealth are some of the smaller, non-restricted schemes. The question is ‘why would anyone join a smaller medical aid’? They’re more personalised, they spend less on non-health-care related items such as free movie tickets as rewards and they offer lower premiums. Whether big or small, always make sure to only join a scheme registered with the Registrar of Medical Schemes. Each of these schemes must provide a minimum set of benefits to its members. Genesis Medical Scheme is one of the excellent smaller medical schemes. They are one of the top most successful medical schemes in the country. This is because of the excellent benefits they offer and their financial stability. Genesis is a medical scheme that knows the fickleness of people – how they simply gravitate towards those big names in the medical scheme industry, regardless of whether the benefits are any better. Some of the smaller, well known medical aids such as themselves, offer good quality benefits, affordability and real value for money. For instance, while Genesis’ Private Comprehensive cover is a mere R2 200 per month, a similar comprehensive Classic medical plan at Discovery would be R5 400 – roughly R3 000 more than what you get at Genesis, and for much the same thing. Keyhealth Medical Scheme is another excellent medical aid with a wide range of excellent benefits for their customers. In 2017 they had 5 plans, but in 2018 they’ll have 6 to choose from – Essence, Origin, Equilibrium, Silver, Gold and Platinum. They’re a medical scheme who like to offer their members pure health related products free of these frivolous add-on that no-one wants but which they have to pay for. With KeyHealth you’re just getting pure Medical Aid. With their Essence Option for instance, the principal member will pay just R1 3 60 a month in 2018. Among others, with Keyheath you get major medical expenses cover, chronic medication, PMBs, supplementary services, day-to-day benefits, basic and specialised dentistry, prosthesis benefits and free additional benefits. Resolution Health is another excellent ‘smaller’ medical scheme, covering about 150,000 lives. The scheme was registered in 1998 and has an excellent Global Credit Rating of A+. They process their claims within 48 hours. Among their products they offer a hospital plan too. They announced an increase of 9.6% for 2018. Those looking at open- or non-restricted medical schemes have got plenty of options. However, the annual GTC Medical Aid Survey says that one shouldn’t rely solely on the survey to pick cover suited to you as everyone’s opinions are different. There are excellent smaller medical schemes which range from cheap entry-level and hospital-only options to costlier comprehensive options. Do research and compare medical schemes. Don’t just rush in but look carefully as what medical aids are offering to attract new members and if what they offer is enough to attract you too.